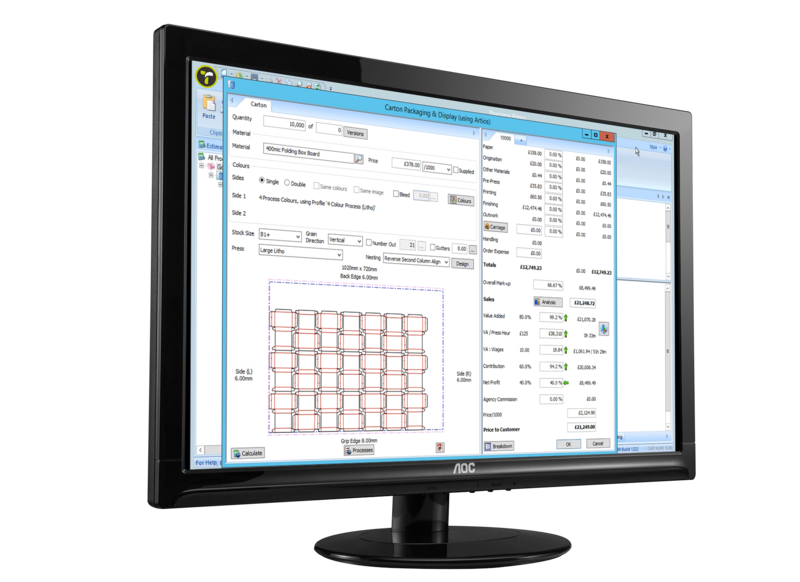 If you want to create a packaging workflow that’s going to help you grow, you need an MIS that combines your estimating, CAD and prepress workflows into one seamless solution. But many packaging companies are still struggling with a collection of disconnected software applications and manual processes, or have tried to implement a generic manufacturing solution and failed to make it fit with their unique workflow. The Tharstern MIS embeds leading CAD software ArtiosCAD from Esko within estimating and the manufacturing information created at this stage is brought through the workflow all the way into production. We support digital, litho, sheetfed and roll-fed packaging. Seamless integration to Esko ArtiosCAD (and Impact CAD coming soon). Create quotations based on existing dies or the nesting of parametric 1-UP designs. Supports multiple versions across multiple shapes over multiple sheets. Supports all of the post-press processes such as die-cutting, screen coating, box folding and gluing.